Experience a one-of-a-kind Jewish rite-of-passage outdoors: Get outside your comfort zone, connect with community & nature, and grow with us as you navigate your child’s middle school years. 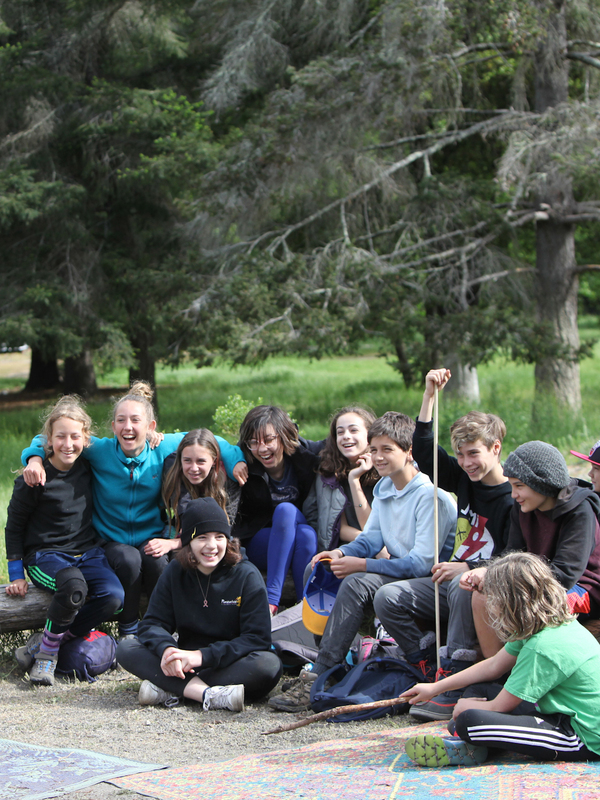 B’naiture is our award-winning, two-year experiential program for youth entering 6th or 7th grade, that explores the transition from childhood to adolescence through deep nature connection and Jewish wisdom. This program both supplements traditional B’nai Mitzvah education and serves families who do not choose to undertake traditional B’nai Mitzvah training. We welcome people of all backgrounds including Jews, people of other backgrounds, interfaith families, LGBTQ families, and people of color to join our vibrant, unique community. 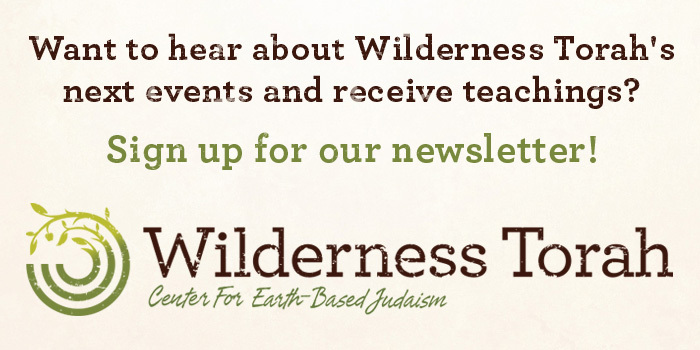 B’naiture families also get 25% off any of Wilderness Torah’s community programs—we want to provide you many opportunities to engage with community and learning! Join us at one of our family-friendly learning and information sessions! This groundbreaking program weaves Jewish teachings, story, and song with personal challenges, outdoor skills, mentorship, peer group community building, and nature awareness activities to provide an embodied way for youth to explore coming-of-age. Your child will join a tribe of middle-schoolers on a two-year journey into adolescence. Along the way, they will gain insights about life, relationships, and Judaism, while developing a deep connection with local ecology. Parents are included in the experience, with regular check-in’s and special programming to support the whole family through this rich, challenging, transitional time. 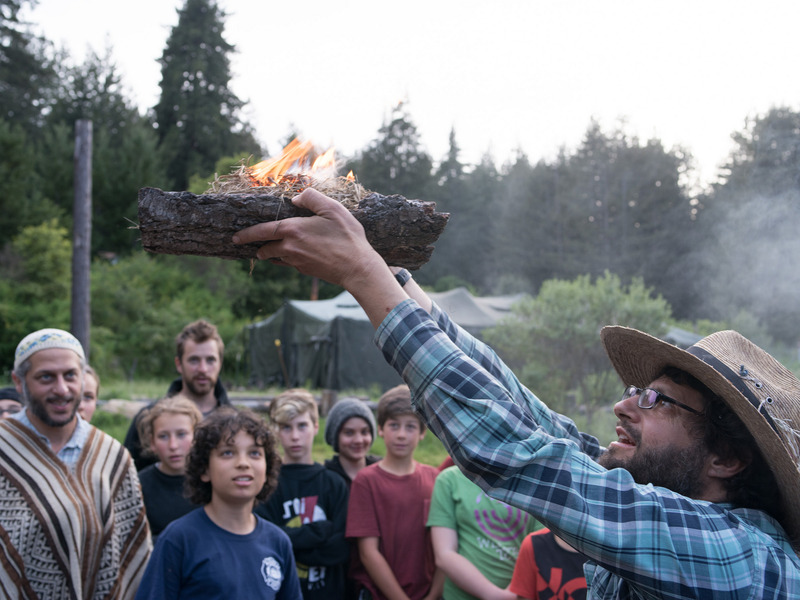 Three Camping Trips: In fall, winter, and spring we gather for several days in beautiful wilderness locations to celebrate Shabbat, camp out under the stars, connect to nature, learn wilderness and crafting skills, and build stronger relationships. Parents join us for the fall weekend, and for the final day of our spring trip to celebrate each season’s completion. Sunday Wilderness Days: Six Sundays throughout the season B’naiture meets in the East Bay Hills for a full day (10:30 am – 4:30 pm) of Jewish nature immersion. Each day includes deep nature connection, wilderness skill building, crafting, and embodied learning that draws from the rhythms of the Hebrew calendar and the stories and wisdom of the Torah while incrementally preparing youth for the final solo rite of passage. Wednesday Evening Fire Circles: Six Wednesdays throughout the season, B’naiture cohorts gather in backyards in the East Bay after school (5:00pm-8:00pm) to practice fire skills, enjoy dinner around a fire, share in council on topics relevant to growing into their teen years, and explore seasonal Jewish teachings and crafts based on the Hebrew month, holidays, and Torah stories. Parent Program: Cultivating family community and involving parents in the experience is essential to B’naiture. The parent/guardian track begins on the fall camping trip, which parents are highly encouraged to attend, and continues throughout the season with three Wednesday evening meetings concurrent with the youth fire circles. The parent track teaches basic concepts in earth-based Judaism, explores how to best support adolescents during this critical rite-of-passage time, and fosters community amongst B’naiture families. For more information, read Bringing Parents Along – A key to Life Centered Education. Final Rite-of-Passage Experience: B’naiture is centered on our culminating challenge: a one-night fire tending solo that marks entrance into teen years. The second years spend ample time preparing for their solo fires on all levels, both building fire skills and readying themselves emotionally and spiritually for what lies ahead. On our final weekend together, elders, teens, and mentors send them off to tend a central fire through the night, and our second-years spend the night out alone nearby in the forest. The whole community welcomes them home in the morning and they return to a day of rest culminating in a celebratory ceremony with their families. Aya Baron, who led B’naiture for several years, was honored with the Natalia Twersky Award for the creative use of Jewish women’s stories within the B’naiture curriculum. We are delighted to announce that B’naiture is one of six national winners of the Lippman Kanfer Prize for Applied Jewish Wisdom, recognizing programs that help people apply Jewish wisdom to live better lives and shape a better world. This groundbreaking program weaves Jewish teachings, story, and song with personal challenges, outdoor skills, non-parental mentorship, peer group community building, and nature awareness activities to provide an embodied way for youth to explore coming-of-age. Imagine your child joining peers for the journey into adolescence, making personal discoveries about life, relationships, and Judaism, while honoring the land they live on. Imagine being supported in a special parent program to support your child on this journey. Ideas in Jewish Education and Engagement: What Do We Want For Our Children? Follow the links below for more details on what to expect in B’naiture! Wilderness Torah has given a sense of balance to my son’s bar mitzvah process. Exposure to the spirituality of nature and an expression of holiness beyond the walls of the synagogue, classroom, or formal teaching format, has provided him with a richer meaning to the concept of coming-of-age.